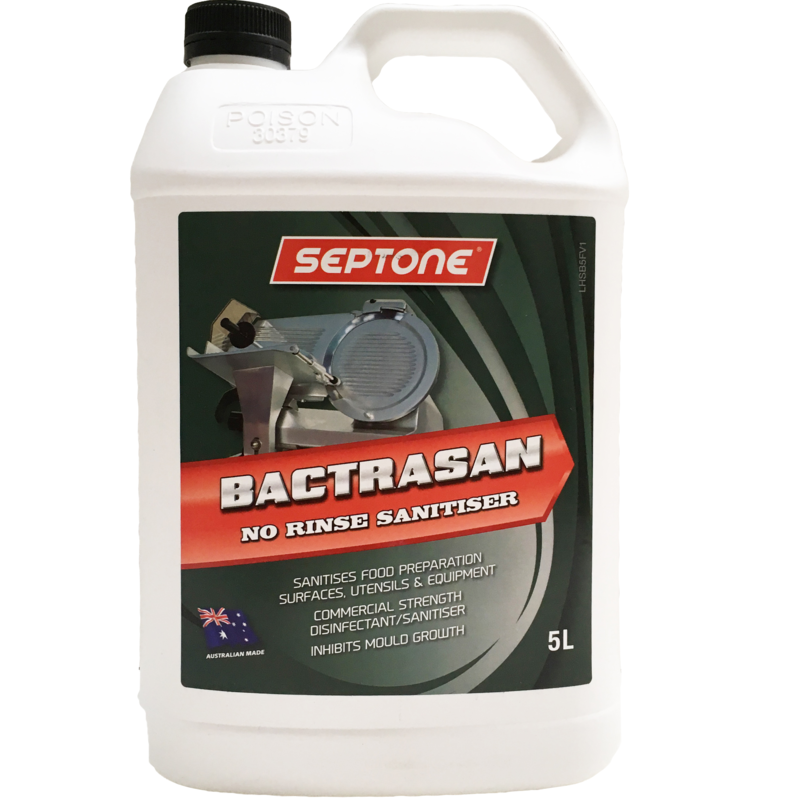 Bactrasan is a powerful liquid quaternary ammonium based product with exceptional sanitising and fungicididal properties. Bactrasan may be used in the sanitising of previously cleaned food processing equipment in the food manufacture, brewing, cordial and soft drink industries, as well as in abattoirs, restaurants and canteens. Use Bactrasan for mould control in cool rooms – treatment using Bactrasan once every six months will provide residual fungistatic activity to satisfactorily control mould growth. Bactrasan may also be used for the sterilisation of water in foot baths as a means of controlling tinea and other fungal diseases.